RockingGoodFolk: This will be a 4 hour benefit show featuring 3 bands. 100% of all ticket payments & tips will go to the the ALS foundation. RockingGoodFolk: So, our next concert is a cracker! 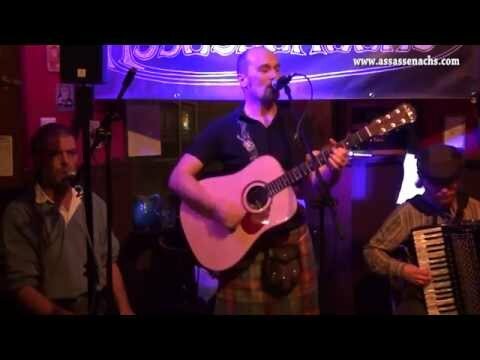 The Assassanachs, a trio of top celtic folk musicians. RockingGoodFolk: Melodic and predominantly dancy folk music from Scotland, Ireland and elsewhere. There are songs, jigs, reels, ballads and polkas galore along with a mounting array of original material written by Steve. simpleman bought reward: "Download video of 2 songs/tunes from todays show"
Europe in concert halls and larger venues and festivals. Thier music is Celtic based, Folk/Rock, Irish, Scottish trad mixed with a selection of thier own songs. They will be playing a +/- 45min accoustic set, no mics, no plugged in gear, just a camera and microphone. It's as pure as you could wish. Rocking Good Folk arrange regular small cosy concerts for max. 50 people. These concerts are pure accoustic, no mics, not pedals, no gimics. What you see/hear is how it is, pure!